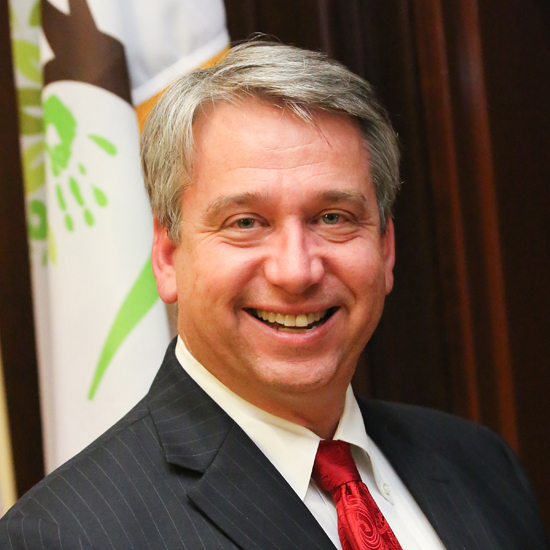 Council Member Mike Sullivan was first elected to the Sugar Hill City Council in 2006. Mike and his family have been Sugar Hill residents since 1998. Growing up only a short distance from here, Mike attended Cobb County Public Schools and went on to obtain a Bachelor’s Degree and Master’s Degree in Electrical Engineering from Georgia Tech. Interested in computers, he has been in the Software Engineering industry for 35 years. He currently manages a multi-site team for Arris on the E6000, a high speed data device designed to give internet access for approximately 70,000 homes. He and Linda, his wife of 27 years, are very proud of their daughter, Alyssa, who is in the honors program at Kennesaw State University. Over the years, Mike and Linda have also hosted foreign exchange students, Jane from Kyrgyzstan and then two years later, Sophie from Germany. Mike is very interested in the youth of today. He enjoys working as the council liaison with the Sugar Hill Youth Council. This is the Youth Council’s third year in existence and each year continues to grow. At work, he heads the summer intern program at the Suwanee location. He is very involved in Kiwanis, a civic organization focusing on kids, where he is currently Lt. Governor. Through Kiwanis, Mike also works with the Lanier HS Key Club, Georgia Key-Leader program, and heads the Kiwanis scholarship committee for the four high schools the club supports. Mike believes in mentoring and participates both in the Half Hour Hero mentoring program at Sugar Hill Elementary for elementary age students and Georgia Tech’s Mentor Jackets program for graduate level students. Mike also runs a chess club with about 60 children at Sugar Hill Elementary.